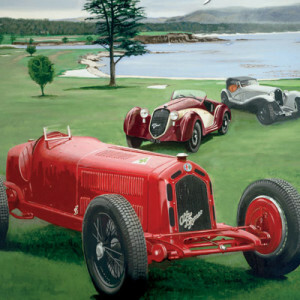 Justin Dart (1907-1984) was very pleased when S.F.B. 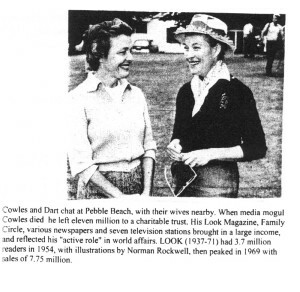 Morse first showed him , and his attractive wife Jane, one of Pebble Beach’s prime pieces of real estate. Dart wanted “only the best,” a spacious home overlooking the brilliant green golf links, with the picturesque Pacific Ocean close enough to hear on moonlit nights. To impress his friends with his wealth and status, Dart wanted a high ceilinged home with 2752 square feet for his art collection, and a panoramic view that would reflect how he viewed himself, and how others should see him.